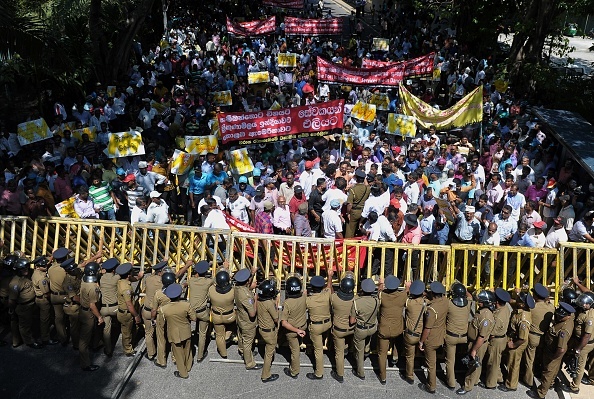 Tens of thousands of protesters in Sri Lanka have recently taken to the streets, led by former president Mahinda Rajapaksa, to protest against the government for leasing an important port to China to pay off its huge debt. Voice of America (VOA) reported on Sep. 6 that many large-scale anti-government protests took place on the streets of Colombo, Sri Lanka’s capital. They protested against the government’s corruption and its decision to lease the Hambantota port to China, demanding that the government step down. Protesters blocked some of the main roads in the capital on Sep. 5, shutting down nearby schools and businesses. The Hambantota deep-sea port in southern Sri Lanka, which was financed and built by China, opened for use in June 2012. China also created a 15,000-acre economic zone surrounding the port. These initiatives are part of Beijing’s One Belt, One Road initiative (OBOR), also known as Belt and Road, a plan to increase geopolitical influence through constructing infrastructure projects across Asia, Europe, Africa, and parts of Latin America. 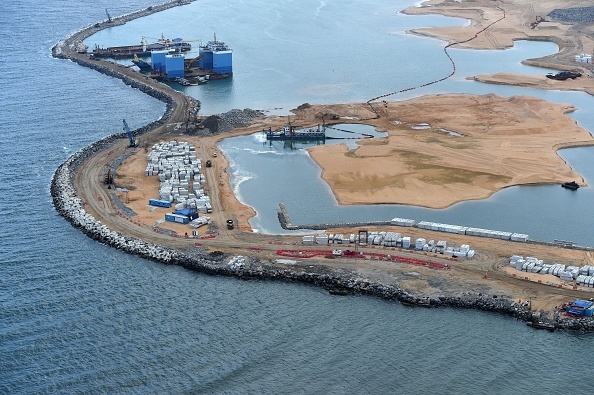 In December 2017, the Sri Lanka government agreed to hand over the entire Hambantota Port, to the Chinese Communist Party (CCP) on a 99 year-long lease, in a plan to convert its owed loans of $1.4 billion into equity. Giving Beijing ownership of the port allows the CCP regime to gain a key foothold in the Indian Ocean. Since the CCP initiated OBOR in 2013, nearly 70 countries have agreed to deals with Beijing. But increasingly, the OBOR has been met with doubts and concerns in the international community, and strong resistance from citizens in participating countries. In April, 27 out of 28 European Union ambassadors to China jointly issued a report condemning the CCP’s OBOR projects as a hindrance to free trade and to “divide Europe,” according to a report by German-based media Handelsblatt. The Hungarian ambassador did not sign the report. A July report in The Financial Times cited research from Washington-based consulting firm RWR Advisory Group, revealing that of 1,674 infrastructure projects announced by the CCP in 66 OBOR-participating countries, about 14 percent or 234 out of 1.674, have encountered problems caused by poor administration—such as public opposition to projects, objections over labor policies, performance delays, and concerns over national security. Recently, international organizations such as the International Monetary Fund and some governments have also warned that the OBOR could cause some countries to incur heavy debt . A report published in May 2018 by the Harvard Kennedy School criticized the CCP for providing strategic loans to impoverished countries through the OBOR and promoting “debtbook diplomacy” in 16 countries, including Sri Lanka. Oftentimes, the projects are in service of Beijing’s desires to obtain strategic resources and expand political influence in the Asia-Pacific region, according to the report.